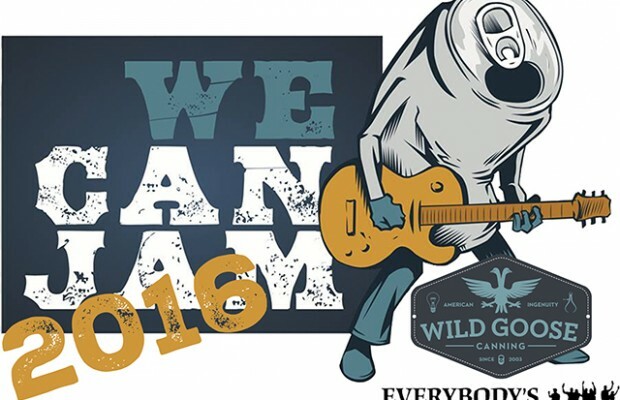 Live music, beer and fun go hand in hand, so Wild Goose Canning and Everybody’s Brewing is making sure brewers have a good time and get a chance to network and try some great local craft beer with the “We Can Jam” event during the Craft Brewers Conference in Philadelphia this May. The lead sponsors of the event will showcase canned beers and live music, as Lucero will take the stage on Wednesday, May 4 at the Union Transfer. Last year in Portland, the band Supersuckers headlined the inaugural event which raised more than $24,000 for Athletes for Cancer, a local Pacific Northwest charity group. Wild Goose marketing manager Michelle Dyson said that they have yet to pick a local Philadelphia-area charity for this year, but they expect to make a sizable donation after the event as well. “That was just a great event and we had people begging for tickets at our booth day in and day out,” she said. Dyson added that they “learned their lesson” this year about tickets and instead will allow anyone with a CBC badge into the event for free. Union Transfer can accommodate 200 to 1,200 people, but for the time being, the We Can Jam event will cap it at 500. “If we start getting the response, then we can ramp it up and hold more,” Dyson said. Dyson said the event is a way to showcase the can aspect of the craft beer industry. Everybody’s Brewing, a brewpub from White Salmon, Washington, was the creator of the event and they will be back again as a sponsor. An alt-country band from Memphis, Lucero formed in 1998 has released 11 albums since 2000. Dyson said that the event may still have an opening band added as well. Dyson added the crowd can kick back have some beers, listen to live music and have fun with a crazy photo booth that even will create .gifs.